Your gum health cannot be overestimated when it comes to your general health and wellbeing. When your gums are in distress, your whole body can feel the serious consequences. Periodontal disease afflicts nearly half of Americans aged 30 and over (almost one in every two people). 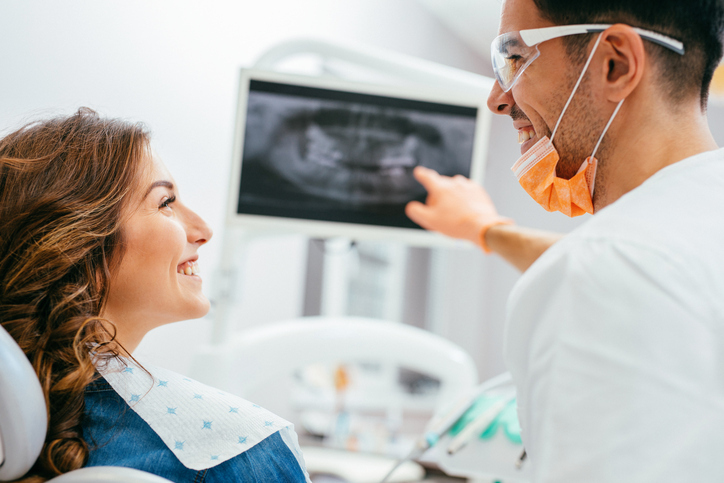 When gum disease advances and oral bacteria enters your bloodstream, it can cause cardiovascular and respiratory issues, in addition to more obvious conditions like tooth loss. The good news is that most forms of periodontal disease easily can be treated if caught early enough. The key is knowing what to look for and scheduling an appointment with your trusted local periodontist before it’s too late. The gums around your teeth are designed to hold them in place, but periodontal disease can cause these gums and bones to weaken. The result is loose teeth and, eventually, the complete loss of the tooth. If you’ve noticed a sudden or gradual change in your bite, it could be a sign of eroding gums. While there are many causes of bad breath, the odor is generally caused by bacteria in and around your teeth. Oftentimes, this bacteria can be the result of gum disease. To find out if periodontal disease is the underlying cause of your bad breath, make an appointment with your local periodontist. Healthy gums should be firm, pinkish in color, and should not bleed easily. Sore or inflamed gums while chewing or flossing are one of the earliest signs of periodontal disease, and should encourage you to get a professional evaluation. It can be difficult to notice a receding gumline, as it’s generally a gradual process that happens over time. However, one key indicator is that your teeth look longer than they did previously. It’s worth paying attention to, as it could be a cause for concern. As your gums recede, the roots of your teeth become exposed. Since the roots do not have a protective enamel coating like the rest of your teeth, they are more sensitive to hot or cold liquids and foods. If you notice an uncomfortable sensation when eating particularly hot or cold foods, it’s worth taking note. Pregnant women, tobacco users, and those with diabetes are a few examples of people who are at higher risk for periodontal disease. They should take extra precautions to fight gum disease, including regular visits to their dentist.